The ANU Climate Change Institute is increasingly involved with a range of Commonwealth Departments and the ACT Government. Our role is to help inform government policy by providing up to date research on climate change. Involvement with industry, state governments, NGOs and other groups such as Landcare has also increased. The CCI has conducted several briefings at Australian embassies overseas. ANZ Executive team in NZ and Auckland’s business leaders. Professor Nerilie Abram is a Convening Lead Author on the IPCC Special Report on Oceans and Cryosphere. A seventh lead author, Dr Joelle Gergis, will be joining ANU in March 2019. 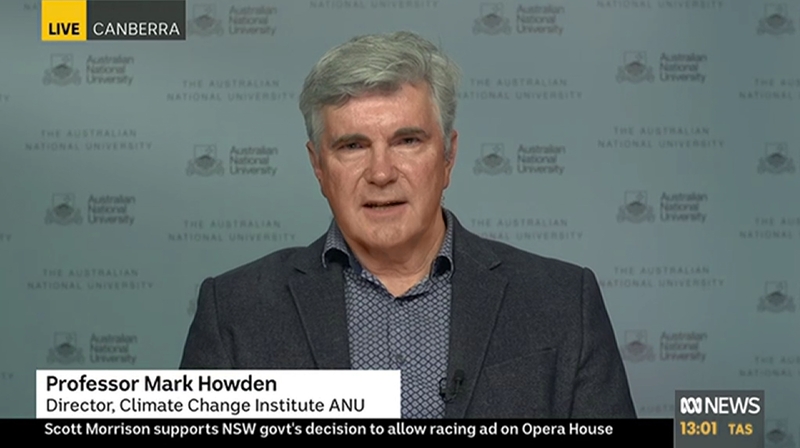 Prof Howden plays a strong role across many different parts of the IPCC. As well as contributing significantly to the leadership development of the Special Report for 1.5oC, he has helped steer the Special Report for Climate Change and Land and the Working Group 2 and 3 Assessment Reports. He has also been invited to be a Review Editor for Chapter 4 (Strengthening and implementing the global response) and the Technical Summary for the Special Report on 1.5oC. He is on the Scientific Steering Committee for the Special Report on Climate Change and Land and was on the Scientific Steering Committee for the IPCC Expert Meeting on Regional Climate Assessment. He has had a major input into re-framing the approach to risk in the IPCC. He also participated in and spoke at the IPCC Outreach event in Suva, Fiji and has continued to take a lead role in linking Pacific nations into the IPCC process. Prof Howden was the Australian Government Representative at the IPCC’s 30th Anniversary Celebrations. He has also been working with DoEE on their evaluation processes for IPCC AR6 author nominations and a range of IPCC-related topics and issues to keep them and DFAT appropriately informed of IPCC activity including via briefing of the Ambassador of the Environment. 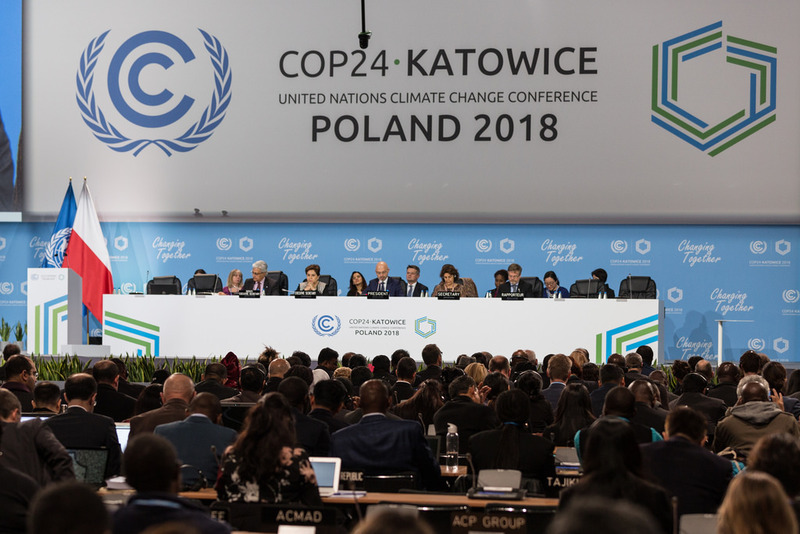 He is the IPCC/UNFCC Focal Point for ANU ensuring that ANU staff and students can take part in major events such as the UNFCCC Conference of Parties, liaising with the UNFCCC and with the RINGO constituency and manage the IPCC travel funds account in ANU. The CCI’s public lecture on “IPCC special report on Global Warming of 1.5C: Deciphering the implications for emission-reduction and climate adaptation” played to a booked out crowd. I thought the presentation of the session was excellent. The introduction gave us a clear sense of how the report was compiled, reviewed and produced, and I thought Mark Howden's presentation was quite remarkable for the clarity, concision and balance with which it gave us the essence of an enormous volume of information - all the more remarkable given the time pressure under which it was produced. I very much wish this presentation could have been broadcast on the ABC and/or other public media. Reviewing the NZ Agricultural GHG Research Program. He has evaluated projects for several major international funding agencies including Natural Environment Research Council (NERC), Irish Research Council and Swiss National Science Foundation. 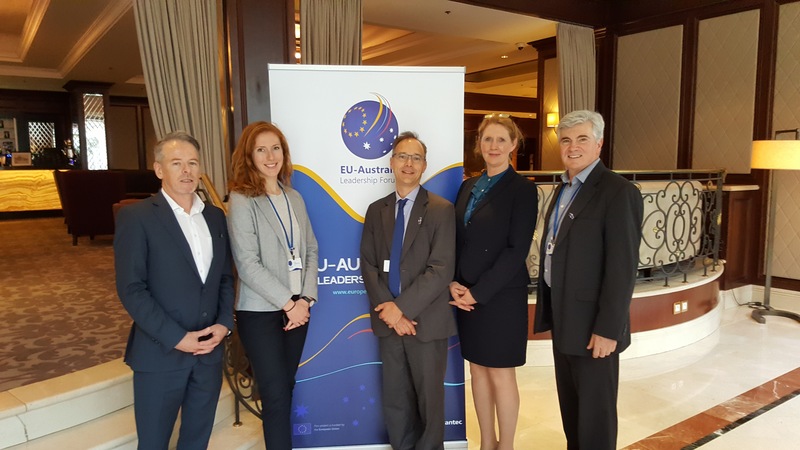 Prof Frank Jotzo (centre) and Prof Mark Howden (right), both CCI members, were amongst ANU staff who were invited to the EU Leaders Forum in Brussels. 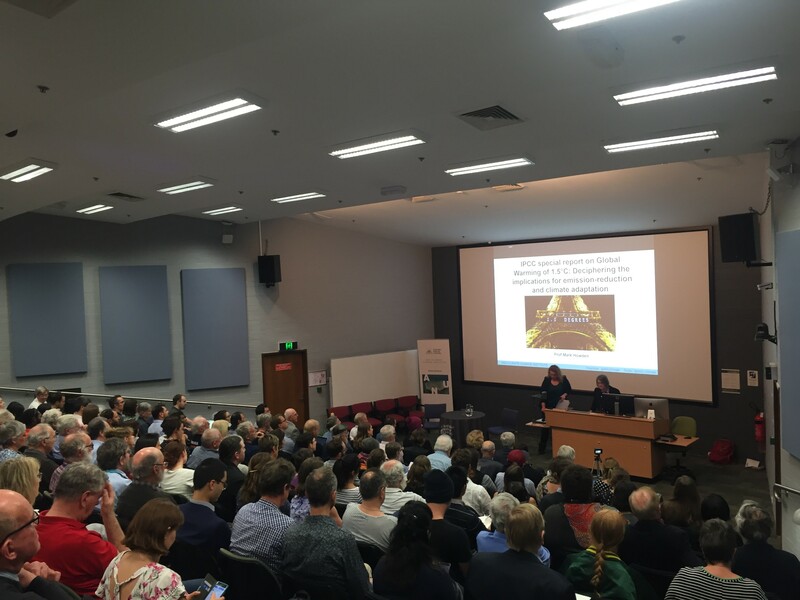 Roundtable discussion on ACT Government Climate Strategy – Attended by 15 people, 22 March. Honorary Professor Penny Sackett, Professor Frank Jotzo and Emeritus Professor Will Steffen are members of the ACT Climate Change Council. The CCI (together with the ECI) hosted a roundtable for ANU researchers to discuss the ACT Govt Climate Strategy for Net Zero Emissions and made a formal submission. The CCI also hosted a student Climate Café focussed on the ACT’s climate strategy, aimed at engaging students and helping inform development of the strategy. Kathryn Bowen participated in the United Nations Environment Programme’s (UNEP) GEO-6 in Singapore and is a Lead Author in their report Healthy Planet Healthy People. She is also advising the Thai Ministry of Health on mainstreaming climate change into their health policies and programs (funded by GIZ - German Development Cooperation). She has been working with the UN Development Program (UNDP) and the World Health Organisation (WHO) to support the project development to secure GEF funding for four Pacific island countries to work on health and climate change. Prof Warwick McKibben and his team are working closely with the Australian Treasury who use the G-Cubed model inhouse for policy and scenario analysis. Prof Barbara Norman chaired the New Zealand National Science Challenge midway review - Building Better Homes, Towns, and Cities. She also led a UN Habitat project developing a climate law toolkit with developing nations in September in Nairobi. Prof John Blaxland has given a talk on “A Geostrategic SWOT analysis for Australia” which addresses climate change amongst a range of other factors to several closed sessions with policy officers from DFAT, Home Affairs and Defence. He has also presented it to short courses at the ANU National Security College and to private audiences with senior government officials including departmental heads of Defence and Home Affairs. Melanie Pill, a PHD student at the Fenner School, attended the 8th Executive Committee meeting of Warsaw International Mechanism (WIM) of Loss and Damage representing ANU as part of the Research and Independent non-governmental organisation (RINGO) constituency as an observer. She subsequently remotely attended the 19th Standing Committee on Finance meeting for the same constituency, trialling new avenues for stakeholder participation within the UNFCCC through virtual means.